SoftServe was proud to be involved in ATX Design Week this November. 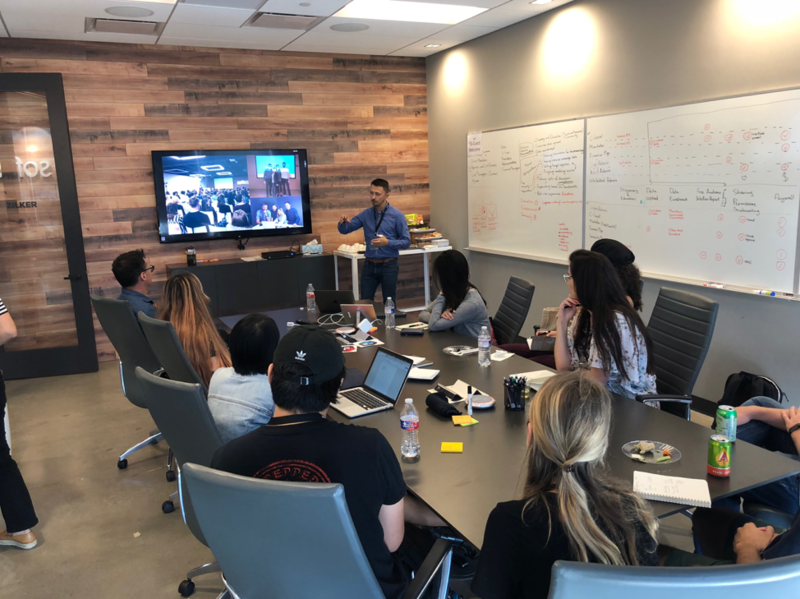 As part of the week’s activities, SoftServe participated in an office tour, where we were able to showcase our Austin office, how we work, and what we’ve been working on. Andrii Glushko walked attendees through the structure and practices of our Design Team, including how we start and run projects, develop designer talent, and the kinds of projects we do. Our Design Team is currently made up of 90+ designers, at 12 global locations, and involved in more than 500 projects. Brian Heltsmith showed off some extended reality demos. Check them out! Smart Parking Lot – Our Lviv office uses machine learning to power our smart parking lot, helping drivers find spots quickly and efficiently. Tustan AR App – Our R&D team brings a Ukrainian castle to life with this interactive AR app! Stroll the ruins of an ancient castle and see its former glory. We’d like to extend our thanks to ATX Design Week for including SoftServe in their tour.